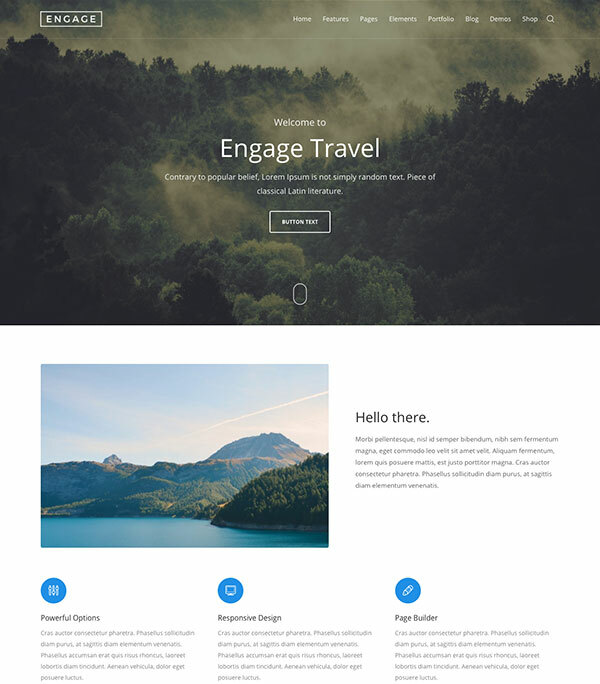 “Engage Templates” is an exclusive Visual Composer extension developed by us. You can forget about staring at a blank page ever again. Select from a huge library of over 120 predefined sections that give you a strong foundation of building blocks to start with, where you take it from there is up to you. The selected templates is imported directly into the page you are editing. All sections are categorised so you can find ones you need quicker. Get an entire page built from scratch in a matter of few mouse clicks! Please take a look at the quick video presentation below where you can see awesome Engage Templates in action.